Paul Quinn is a seasoned financial executive with over twenty years of expertise, results, and wisdom guiding the strategic financial activities of both public and private enterprises. He is skilled at overseeing and modernizing all internal corporate finance, accounting, and administrative (HR, IT, Operations, Legal) functions. He has a proven ability to work collaboratively with Boards of Directors on mission-critical organizational planning efforts, and is able to spur corporate growth (and mitigate losses) through strategic mergers, acquisitions, spin-offs, and divestitures. 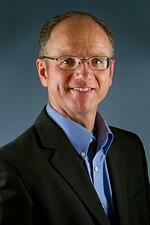 Prior to joining CFO Selections, Paul was the Finance Director at Pharmacy OneSource, a Wolters Kluwer subsidiary. While there, he developed multi-year-rolling forecast models and SaaS based metrics and analysis. He directed implementation of the NetSuite accounting system, and improved cash collections by over 50% through creation of reports and analysis of collections activities. In addition to software development, Paul has experience in industries such as healthcare, telecommunications, wireless, and retail. 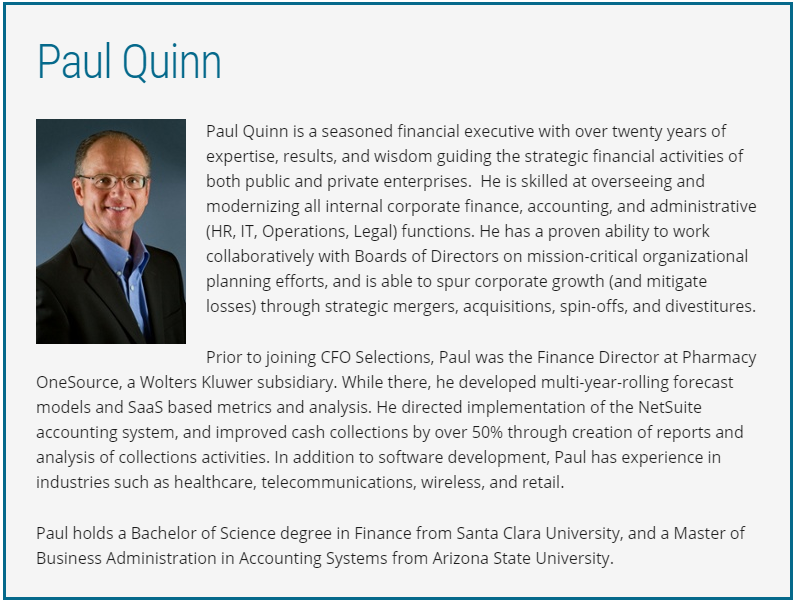 Paul holds a Bachelor of Science degree in Finance from Santa Clara University, and a Master of Business Administration in Accounting Systems from Arizona State University.